Market Research Surveys | DRS Acquisitions, Inc.
An effective market research survey speaks volumes about the needs of your customer! 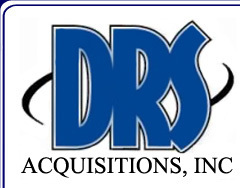 DRS Acquisitions, Inc. has the expertise as well as the systems and technology in place to get you the information you need. Our SER (EIS) Encore Call Processing System, combines leading edge hardware and software to maximize call center performance and productivity. It provides a variety of supervisory functions and countless telemarketing campaign management reports. The reporting provided by our outbound telemarketing research services can answer the questions that are key to the success of your business by identifying potential customers, their preferences, their purchase demographics and satisfaction levels. A market research survey conducted by our call center can also reveal information about your competitors. By comparing your offerings to those of your competitors, strategic decisions can be made with statistical data, eliminating the guesswork. The valuable information obtained by the telemarketing we provide can help develop new marketing strategies and tactics to capitalize on your strengths and help you address your weaknesses. Bottom line, a market research survey is a valuable tool for your business. Our outbound telemarketing services can yield the information needed to guide your business decisions.